Tyler has turned 100 days old! My goodness, it still feels like I was just checked in to the hospital to give birth yesterday. Now my baby is 4 months plus and growing at what feels like lightning speed! 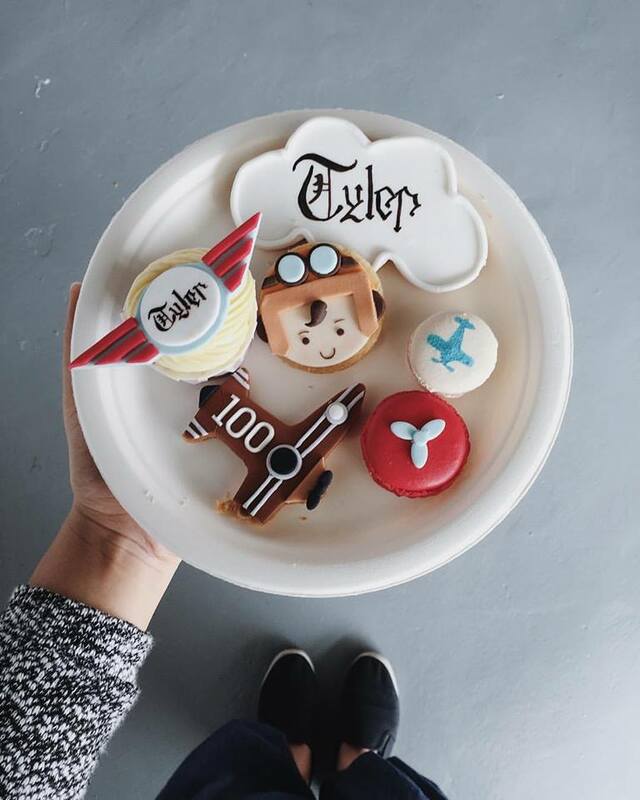 To celebrate the milestone, we threw a party to celebrate Tyler's 100 Days with us and invited some of our closest friends to join us in this special occasion! I still remember sitting in my parents' living room still pregnant in the 2nd trimester, discussing with Boon on Whatsapp whether we should do a Full Moon Party or a 100 Days Party for baby. When I told my #CompetitiveAunties girl friends, they were like, "Woahhhh you ARE really planning ahead, aren't you?" Hahahaha well besides eating and sleeping I had quite a lot of time in my hands while I was pregnant, plus to plan a party we needed to book venue and other vendors in advance so better to plan ASAP, I thought! 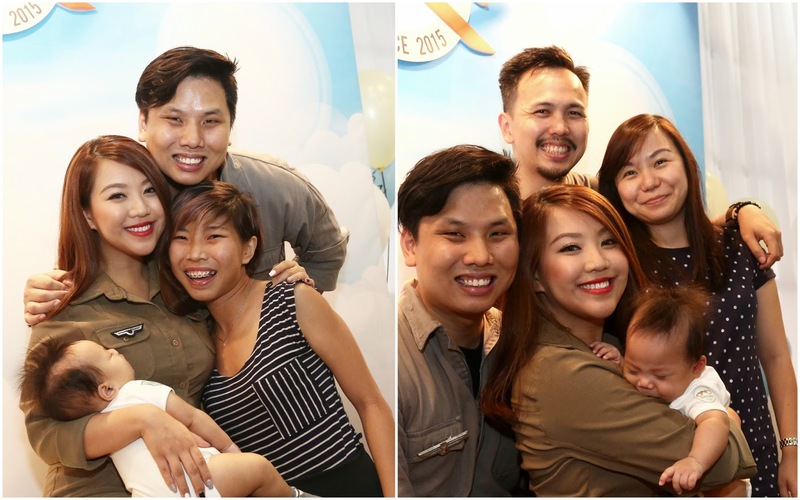 Most of all, I didn't wanna have to spend my confinement month stressing out and planning for the party, all while juggling life as a new mom. In the end after much thought, we decided to throw a Full Moon Party right after confinement for our families and immediate relatives, and a 100 Days Party for immediate families and some of our closest friends only. We had too many family members and friends to put everyone in the same one party! If we did we'd have like, 150 guests at one go! No way, the thought of it is just too much hahaha! I don't have many Tyler's Full Moon Party pictures left cos stupid me accidentally deleted them before backing up. *cries* That's why I never blogged about it. 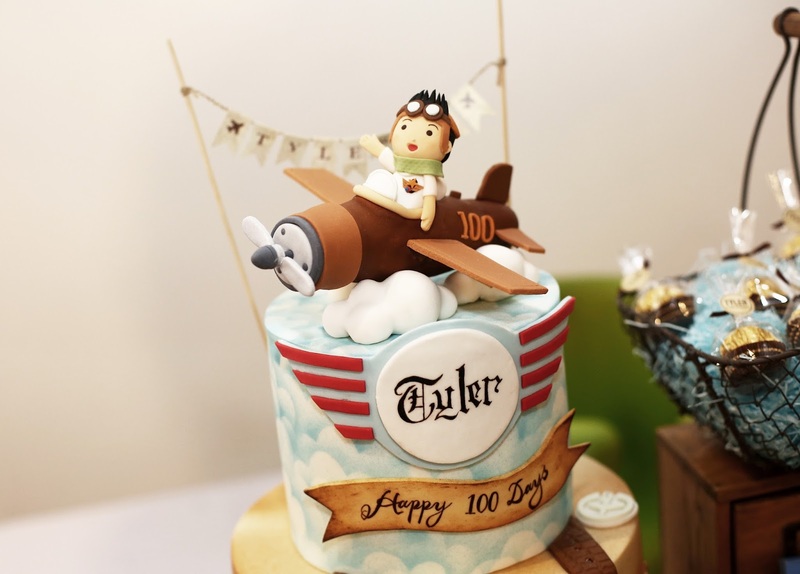 For Tyler's 100 Days party, we've had the honour of working alongside vendors that are superbly excellent at what they do. Few weeks prior to the party, we met up with our party planner, Papergoodz at the event venue, Space Lab to recce the location and discuss details of the party. (L-R): Fiona (my talent manager), Sandra (co-owner of Space Lab), and Cloey (founder of Papergoodz). What was supposed to be a short meeting turned out to be quite a long one because we ended up chatting and laughing away without realising time passed. From that meeting onwards, I knew the party was going to be a success because they're so passionate and professional at what they do! Cloey from Papergoodz brought along with her a pile of papers with design proposals for the cake table, photo backdrop and all the decor details she and her team planned to execute. Everything was so well thought out I didn't have to use my brain to think at all hahaha! Some 4-5 crew from Papergoodz were also there to measure the venue and brainstorming at another table on what could be realised in the space given. I was so impressed! While Sandra and the co-owners of Space Lab were there from start to finish, addressing all the queries that me and Cloey had about the venue. Sandra's answers were always 'Yes, can' and 'No problem'. Basically when we rent the event space for the chosen duration of time, we can use everything provided there- all the lights, aircond units, ceiling fans, the 'garden' corner, sound systems, kitchen, and even their store room to keep our bags and for nursing moms to breastfeed their babies inside on the event day! I was so happy I Dayre-d about our meet-up that day too! You can read the entry HERE. 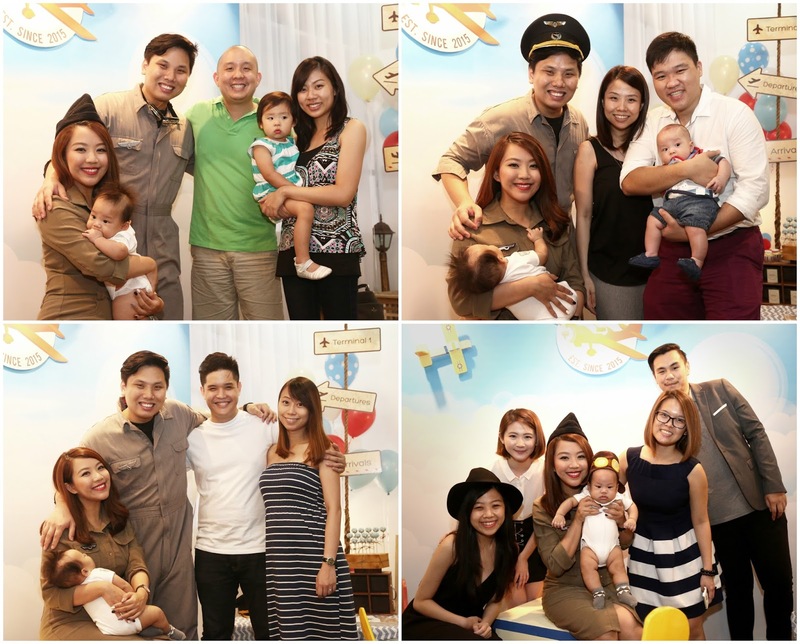 The theme of the party was Vintage Airplanes! Spent quite a while thinking of a good theme for a 100 Days Party. I didn't want cartoon characters or superheroes cos they were too "grown up" a theme for an infant baby hahaha! He doesn't even watch TV yet! I wanted to allow Tyler to pick his own party theme next time or base it on his favourite shows when the time comes, so I wanted to go for something more generic yet not too vague. And of course, a cute theme that allows us to play around with decor! After a good amount spent on Pinterest, I decided on Vintage Airplanes cos firstly, I wanted something dreamy that has to do with the skies and clouds. Secondly, I like the colours of dark red and blue for airplane themes. 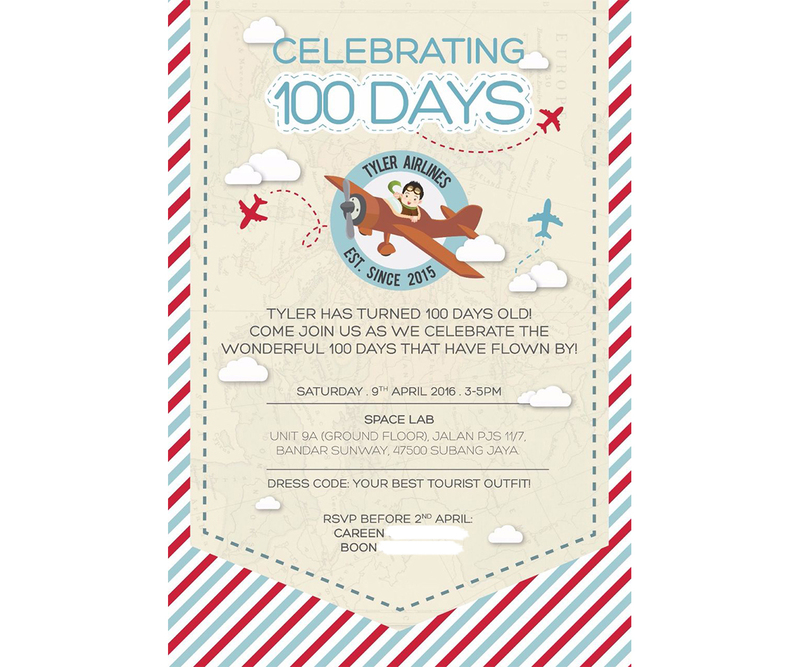 Thirdly, I love the idea behind an airplane theme- flying and soaring high! It's a cute, boyish theme that isn't overdone yet, so I thought it'd be perfect! I also decided to center the theme around Tyler since he's the star, so the central theme was Tyler Airlines! I communicated the theme to Papergoodz and told them my preferred theme colours, and they proceeded to design a few samples of invites for me to choose from. After only one or two minor modifications, the invite was out! Here's the official e-invite we sent to all our guests! Okay enough background story! Let's move on to the actual day. I shall let the (many) pictures from #Tyler100Days Party do the talking! Photo taken by Daniel, official photographer of the party from Papergoodz. Balloons of blue, red and white were placed outside Space Lab and at the carpark in front too so that our guests who drove pass would be able to recognise the venue. It was purely Papergoodz's idea and initiative! When I arrived only I noticed it. In fact, due to some last minute poo poo situation, we ran late and arrived at 3.15pm, later than some of our guests! When I arrived, everything was already set up nicely and ready to roll! The registration table right at the front in Space Lab was turned into a check-in counter for our guests, with an in-flight meal tray to complete the experience. 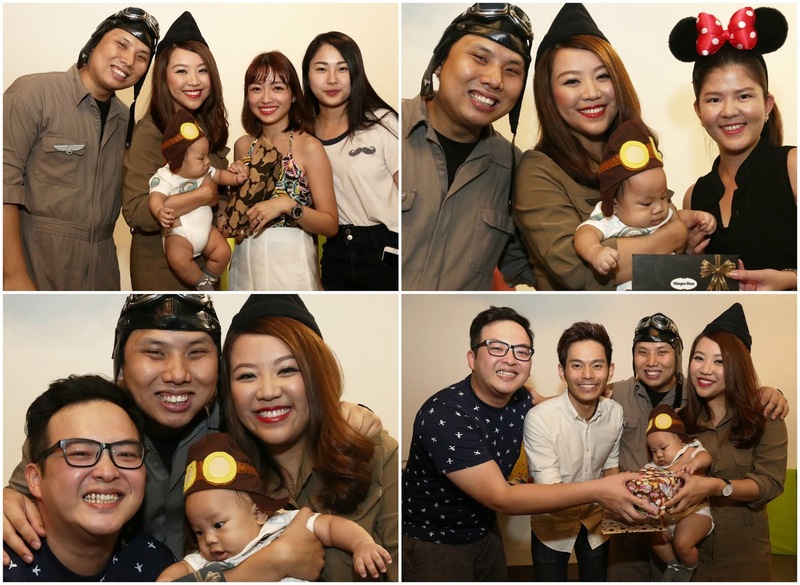 Papergoodz crew acted as cabin crew, giving out a packet of marshmallows and a personalised boarding pass to each guest, as well as kids party pack for the little ones! Our guests LOVED their boarding passes! 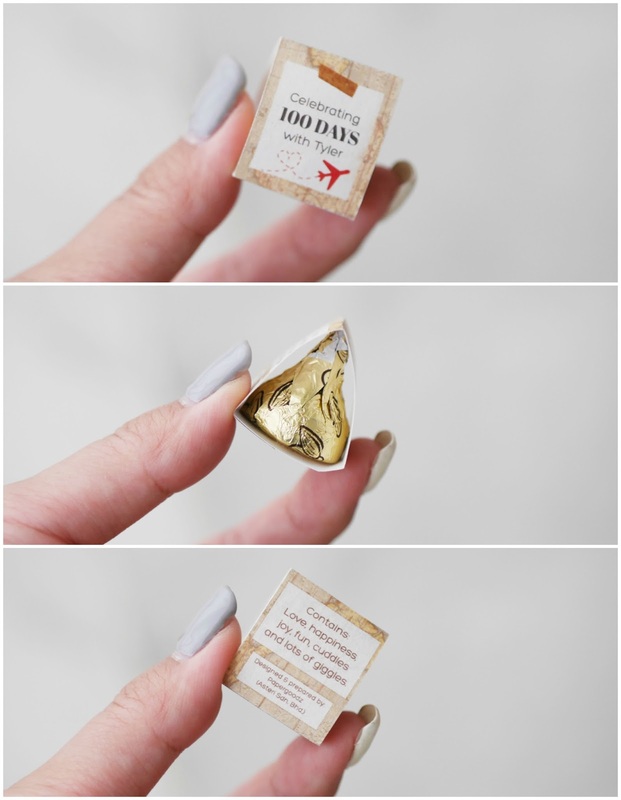 Kids party pack: Yummy popcorns + wooden airplanes! 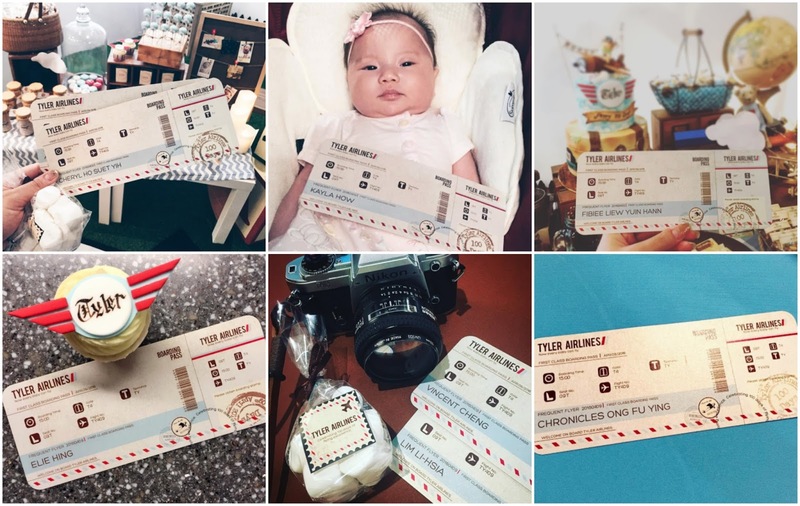 These are some of the boarding passes posted by our guests with the hashtag #Tyler100Days! 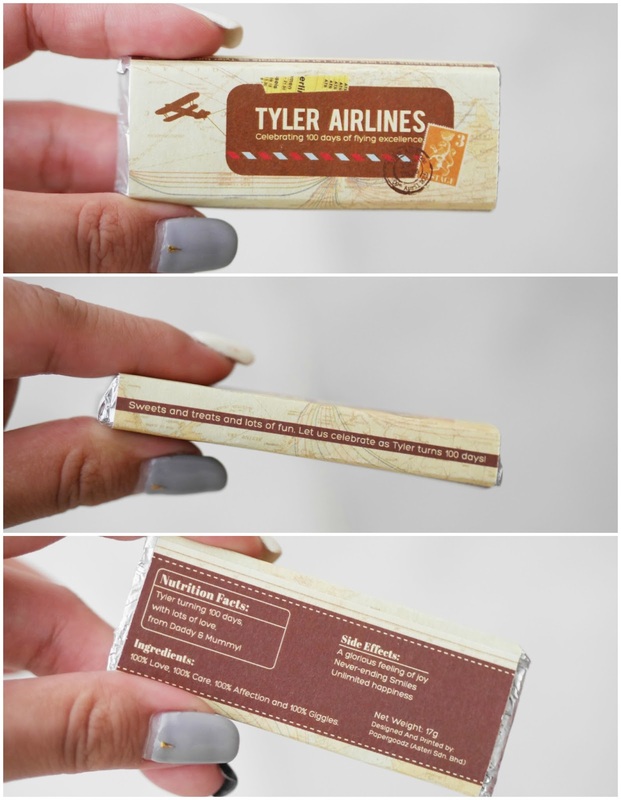 Boarding passes conceptualized, designed and printed by the Papergoodz team too! I only actually saw it on that day itself because I really trusted Cloey and her team to do it. Turns out they didn't disappoint, yet exceeded my expectations for it! 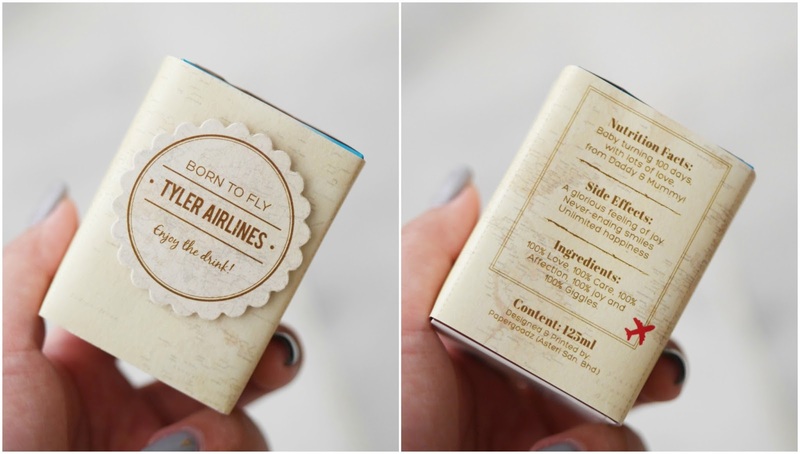 Check out all the tiny details on the boarding passes! Guests flew first class on Tyler Airlines, yo hahaha! And this is the photo area and cake table set up! I was totally blown away when I saw it. 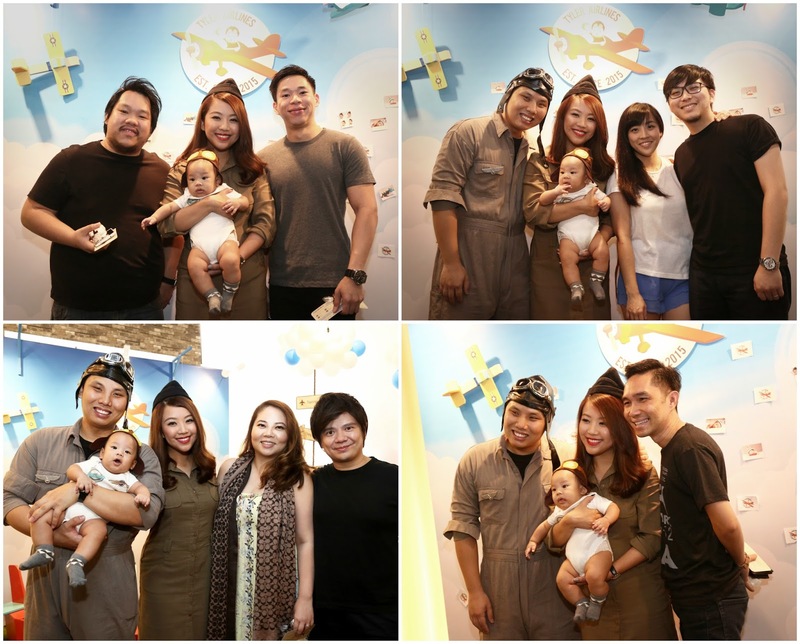 Tiny wooden airplanes hanging by the photo backdrop were also made from scratch by the Papergoodz team. As well as the big plane! 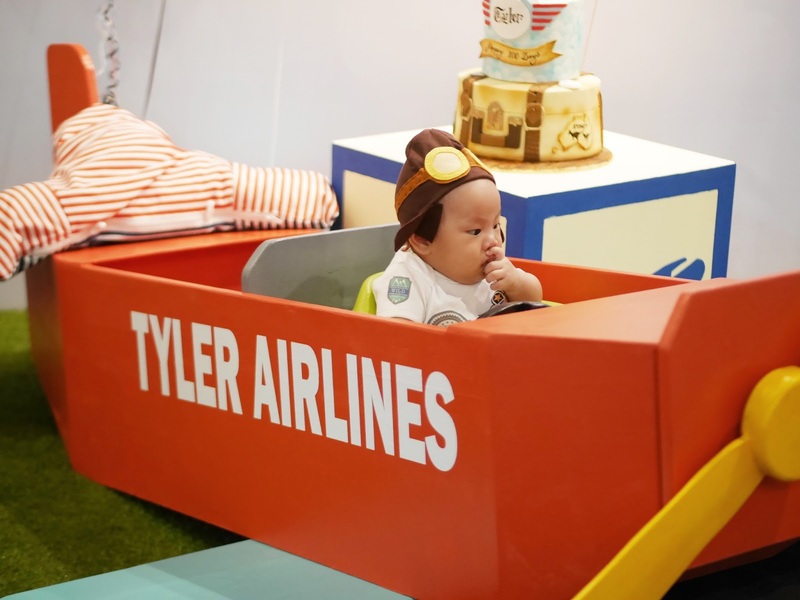 Cloey suggested to make a wooden airplane for Tyler to sit in, so that guests who wanted solo photos with Tyler could do so with Capt. Tyler sitting at the cockpit :P The seat is adjustable with spinning propellers too! "Hmm...where shall we fly to next?" Elena: "Hey Ty, don't forget to bring me along!" Elena: "Hop on, babe! We gon' travel the world in 60 days!" Boon and I decided to play co-pilot and air hostess to our Captain Tyler! Rented costumes from a party shop a day before and we were so happy to find suitable ones which were on point with the theme! Oh, Tyler wore a customised pilot onesie from Black Milk Project! 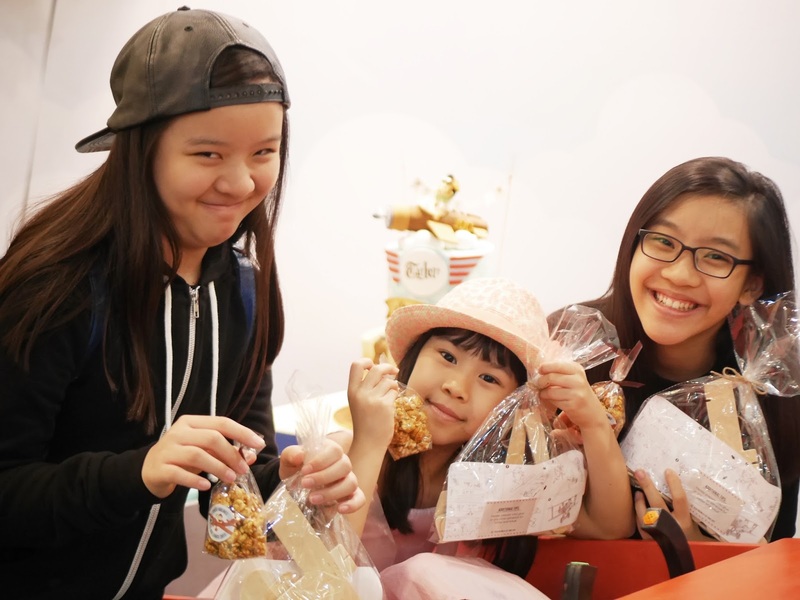 They specialise in customization for clothes, pillows, toy plushies, bags, and literally any other thing you can think of. Perfect to be given as gifts, cos personalised gifts are the best! They have bazaars pretty frequently where you can see their artwork up close! 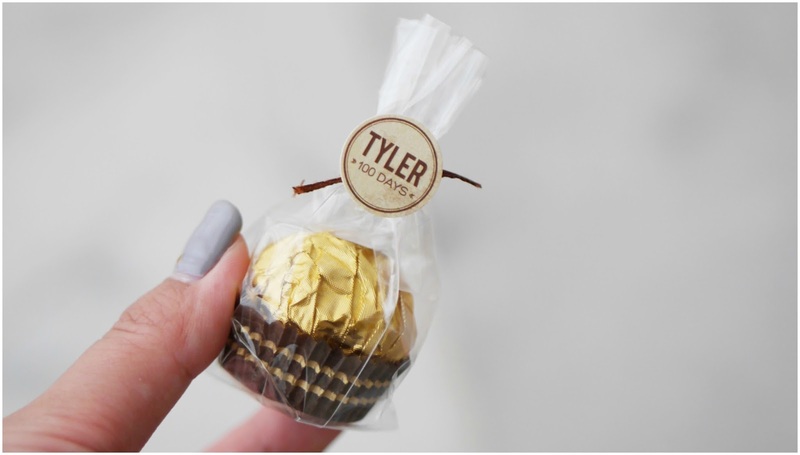 Customised #Tyler100Days balloon and plane foil balloon by Looney Bloons! Now on to the cake and dessert tables! Cake and desserts are made by my all-time favourite baker, Foret Blanc. They were also the ones who made Boon's 30th birthday Gundam cake and many of our #CompetitiveAunties birthday cakes! Baby blue propeller cake pops! All the desserts by Foret Blanc were seriously too adorable to be eaten! I received so many feedback from our guests saying they really enjoyed the desserts. A lot of desserts are only nice to look at, but taste wise...nothing to shout about. But not for Foret Blanc's desserts! And now, the star of the dessert table! I can literally stare at the cake forever and admire all the tiny details on it. 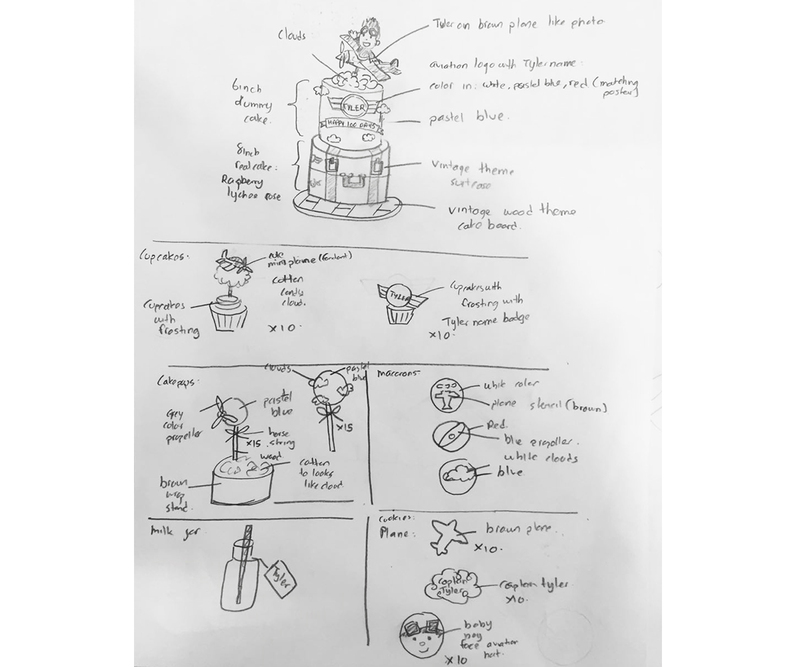 I briefed Foret Blanc about the cake design I had in mind, and I only said I wanted to have a cake with clouds and airplane on it. When I received his design proposals I was like...OMG. And when I saw the real thing, I was even more amazed! On to other details on the cake and dessert table done by Papergoodz! I didn't get to really take a close look at the cake and dessert tables at the party cos from start to finish I was busy entertaining guests and feeding Tyler in between. All I knew was there were a lot of details on the table, and I'm glad Daniel, our official photographer from Papergoodz captured all of them in photos. Our guests kept telling me that they were impressed with the amount of details put into the party, especially the little candies at the bar. When I finally got time to take a closer look at all the candies, I knew why our guests said so. Details were all initiated by Papergoodz too! One of the best things about having the party at an imaginative event space is that you are free to set up however you wish without restrictions. There's this long, white Creativity Wall at Space Lab where guests are free to utilise as a white board for meetings, or a drawing wall for parties. 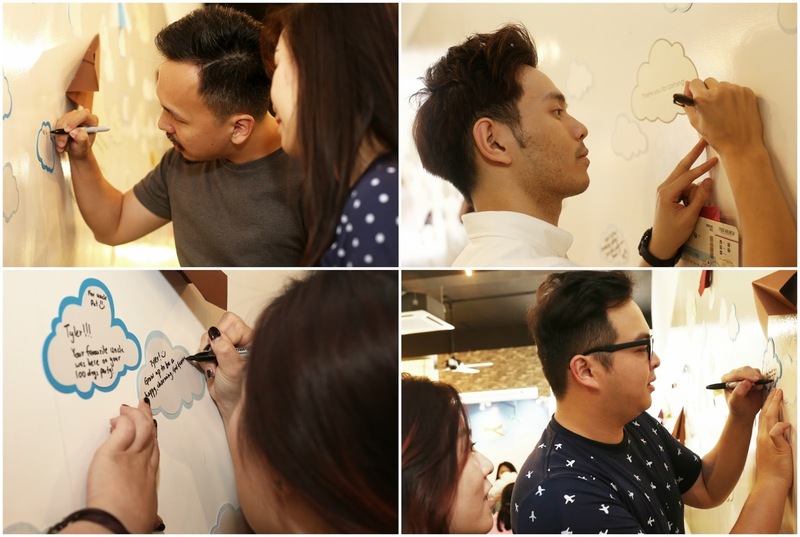 Papergoodz utilised it as a guestbook wall where notes in the form of clouds were pasted along the wall and guests can write their messages for Tyler. More clouds! Cloud balloons fill the air! Look at all the hi-tea selections! Also curated by Papergoodz + Foret Blanc. 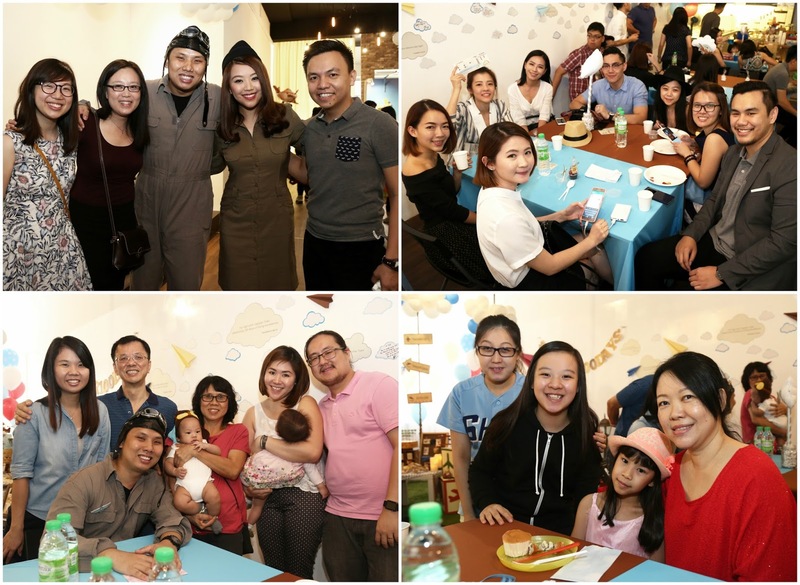 The huge kitchen table at Space Lab was perfect for the variety of food we had that day! Our guests and the spacious venue! 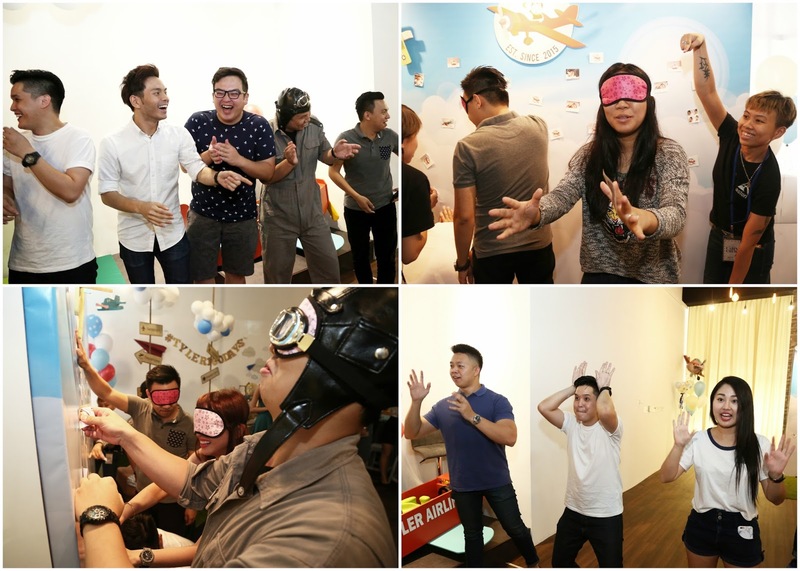 Our guests were also entertained (and self-entertained) by the games organised by the Papergoodz crew members! I was feeding Tyler in the room when it happened. All I heard were storms of laughter the whole time I was inside hahaha. Captain Tyler giving our awards for the best game teams and best dressed male & female! Dress code was "Your best tourist outfit", and Patrick came in an airplanes tee, while Fibiee came as a Disneyland visitor. Thanks for being such a good sport, guys! If you haven't noticed, Tyler looked lost in most of the pictures hahaha!! Cos it was his nap time and he was like, why are so many people taking pictures of me!! Tyler: Mommy, can we go home already? Mommy: No, baby. Not yet. Everyone is here to see you! Hahahaha seriously his faces were epic la. Poor baby. We were having more fun than him, obviously. Hahahaha! 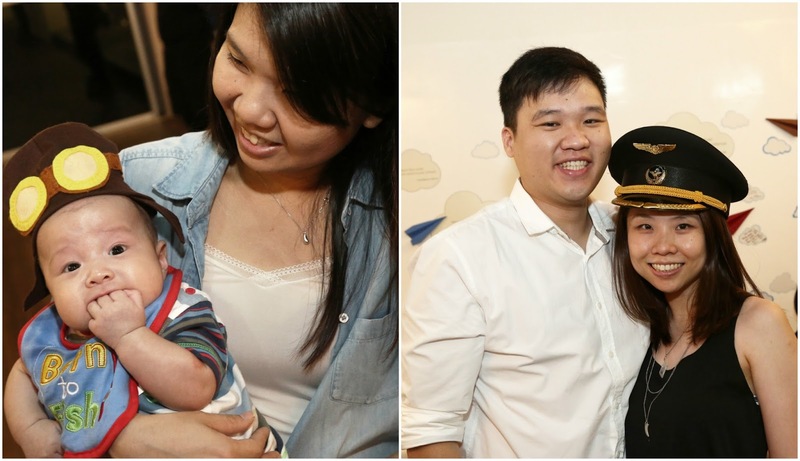 With his (unofficial/self-proclaimed) favourite uncle, Patrick and pretty Aunty QQ! Tyler: Why is everybody touching me? Why is everybody saying I'm chubby? Tyler cousin, Adam was at his party too! 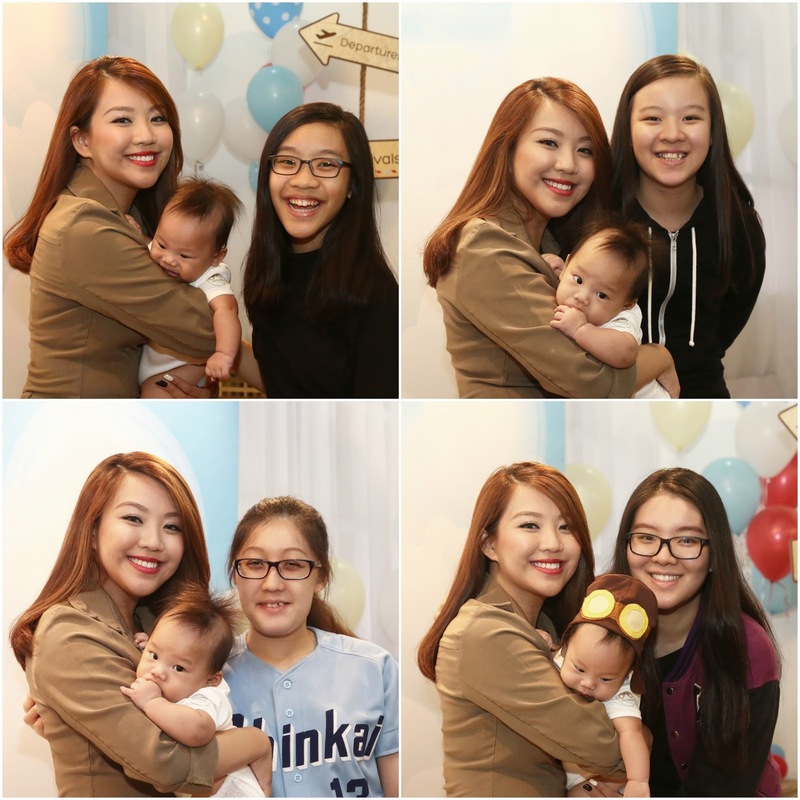 There were only less than 10 babies and like, 60 adult guests at the party hahah! But I've got a feeling for his birthday parties in the future, it'll be dominated by kids and no longer mommy daddy's friends anymore. Our beautiful guests at the party! With his youngest aunty, Evangeline! Tyler entertained by his favourite teether, Sophie the giraffe! Towards the end of the event, I noticed the Papergoodz crew removing the cloud notes on the wall and started collecting them for us to bring home. So efficient! 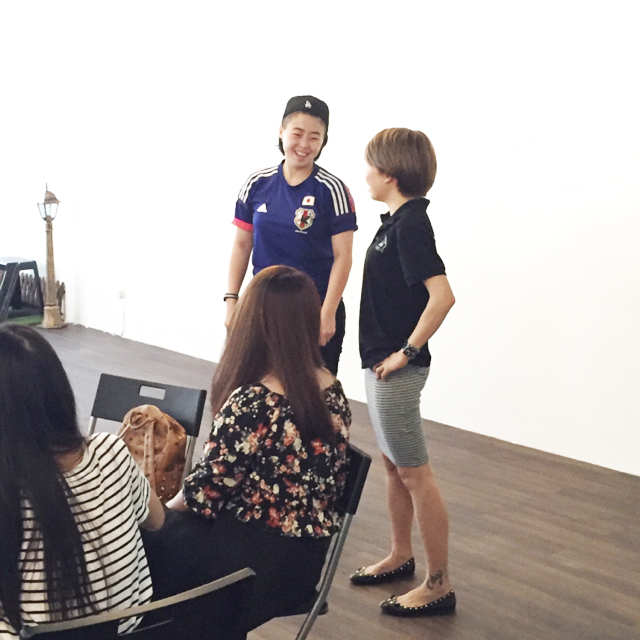 Candid shot of us having a chat with Cloey, founder of Papergoodz after all our guests returned home. She's seriously one of the kindest, nicest and friendliest person I've ever met. And she's excellent in what she does, which makes me really trust her to handle the entire event with her team. Thanks for everything, Cloey! Thank you, Papergoodz team for the beautiful set up and efficient service! All my guests couldn't stop praising your work and excellent service. 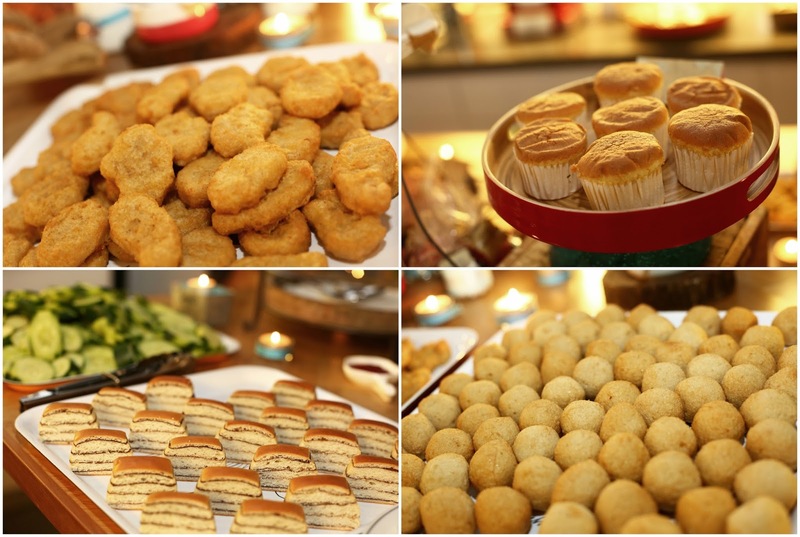 So glad we chose you guys to handle the party! 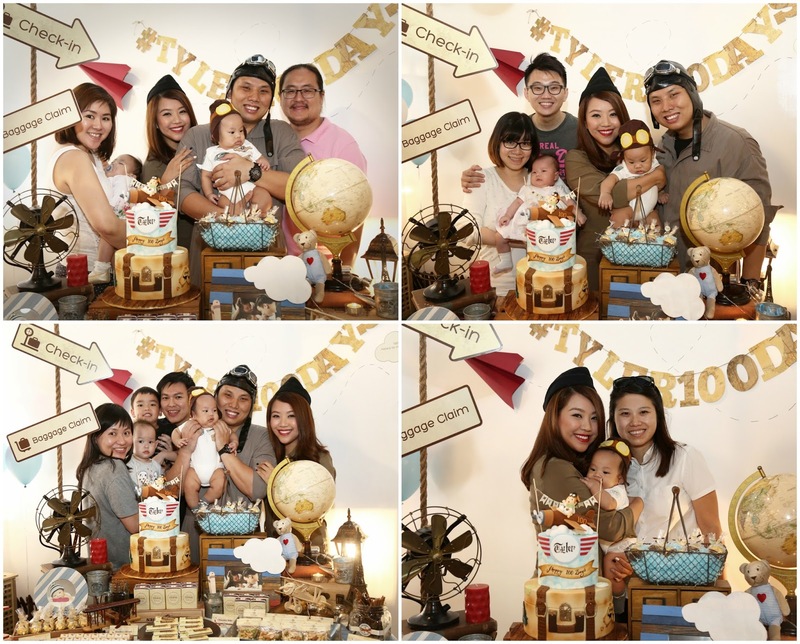 Here's our little family saying a big, fat thanks to everyone who made time to celebrate Tyler's 100 Days with us, and for bringing along gifts and love gifts to bless Tyler. Thanks for journeying with us all these while. Of course, the party wouldn't be a success without our wonderful vendors. If you're interested on how you can be in touch with them for your future parties, events or even wedding, here are their contacts! Last but not the least, thank you, God for answering our prayers and giving us this adorable baby boy we can call our son. All glory goes to You alone. This party is impressively well-planned!